Bernice A. Bennett has parlayed her love of teaching, facilitating, coaching, training, writing, genealogical research, and public speaking into helping others search for their roots. She is the president of her own genealogy company, BB's Genealogy Research and Educational Services, LLC. Bernice is also the host of her own BlogTalkRadio show, "Research at the National Archives and Beyond." She has documented her African American roots in the Orleans, St. Helena, and Livingston parishes of Louisiana, and Edgefield and Greenwood counties of South Carolina. Bernice has presented her research on Homestead Land Records at the Afro-American Historical and Genealogical Society, South Carolina Genealogy Society Summer Workshop, National Genealogy Society, and the Washington DC Family History Center. 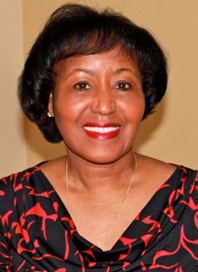 Bernice received her Bachelor of Science degree in education from Grambling State University and a master of public health in community health education from the University of Michigan. She holds membership in several national and local genealogical societies and the National Institute of Genealogical Research Alumni Association.